After two years of searching for the best ingredients, solutions, tests and tests, Wierzbicki & Schmidt cosmetics appeared on the market. The richness of meadows and the well-being of the oceans are only a part of the treasures that fill potions and essences. Their beneficial power is concealed by EUKALIPTUS & ROSEMARY, the impressive BLACK ORCHIDEA, a sweet and aromatic FRAGRANT PATCHOULI and a delicate line FRAGRANCE FREE for sensitive people. Elixirs and essences are our next dream come true. Based on natural ingredients, we wanted to create gentle cosmetics for the scalp and effective in its operation. Elixirs and essences are professional cosmetics, which we use in our salons, where it is also possible to purchase them. However, because they were created for independent, home care, you can buy them at all Rossmann drugstores located throughout the country. Meet the unique potions and essences created by the duet Wierzbicki & Schmidt. The cosmetics created from passion and inspired by nature allow to bring out the beauty of every hair. Carefully selected ingredients make you enjoy professional care at home, whenever you want. Our cosmetics have quickly won the sympathies of users. A few months after the premiere, we received the first prize, and soon afterwards the next. We are currently the winners of 4 competitions, which is our great reason to be proud. The year 2018 was fantastic, and another success and another award closed it. We received the “Feminine Brand of the Year 2018” certificate, which was awarded to our Academy for creating a line of professional hair cosmetics. The awards are qualified brands offering services and products of the highest quality, unrivaled and unique, created on the basis of modern technologies and satisfying even the most demanding women. After years of experience and hard work, the certificate confirmed the reputation of our products. We received it during a unique, beautiful gala. We thank our supporters for their trust and support, without which this event would not have taken place. The year 2018 began with a new success – 20in1 conditioner. 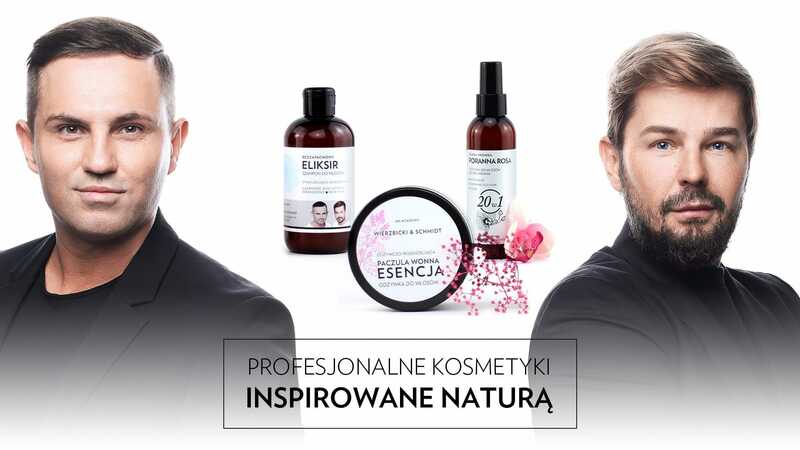 Morning Rosa Czarna Orchidea, three months after its appearance in Rossmann, won the title of Cosmetic HIT of the Month of the February readers of the Uroda i Zdrowie portal. In April, again, we received the title Stylish Cosmetic, this time for 2017 and once again for our novelty – Morning Dew. Thank you to everyone who voted for the WS Academy cosmetics and we are happy that they deserved these votes. Emotions after receiving the Styliczna Kosmetyk 2016 award have not yet fallen, and we already had another reason to be happy! A few weeks later, we received a special prize awarded by Magazyn Kosmetyki – Qltowy Concept of Concepts for “innovative approach to hair care” for the Black Orchid series. This time the jury was a group of recognized specialists from the beauty world, including Anna Orłowska – makeup artist, Jolanta Fraszyńska and Marieta Żukowska – actress, Magda Groszewska – leading TVN Style, Macademian Girl – blogger or Rafał Maślak – Polish Mister 2014. To the plebiscite Stylowy Kosmetyk 2016 organized by the Styl.pl portal, we came to our supporters, even though we did not believe that we could receive any award a few months after the market premiere. The voices of our fans and customers, however, gave us an extraordinary surprise, thanks to which our entire line of potions and essences won the honorable podium in the category “Hair care”. You will find press releases, product photos (packshots), session photos and product leaflets.